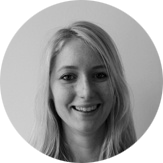 Polly joined Basis in 2013 from TNS and is a Research Director in the quantitative team. Since joining Basis she has worked on a number of brand tracking and ad hoc studies such as concept tests, segmentations, conjoints and complex market sizing studies. She’s worked across a wide range of sectors including retail, telecoms, and finance.